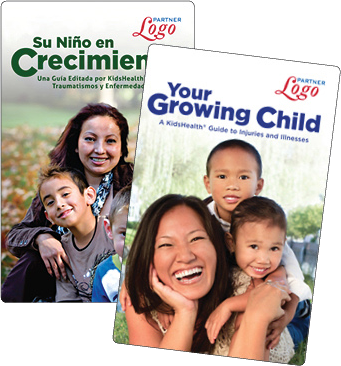 KidsHealth offers customizable, turnkey print solutions that are fast and cost-effective. Digest-size reference guide provides an informative “quick” overview of the 50 most common illnesses and injuries in children. Includes a household safety checklist, emergency contact sheet, injury and illness record, and more. 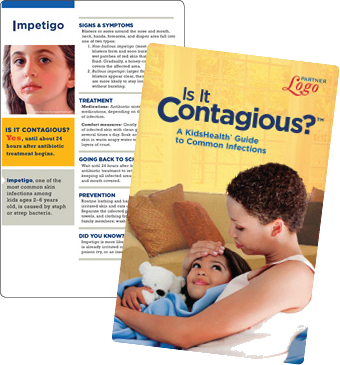 A 40-page guide with practical information on more than 35 common childhood infections and illnesses. It includes full-color illustrations, information on signs and symptoms, what to do, when to contact your doctor, and prevention tips presented in a clear, concise, and engaging style. Is It Contagious? is an evergreen resource that will be useful throughout childhood. 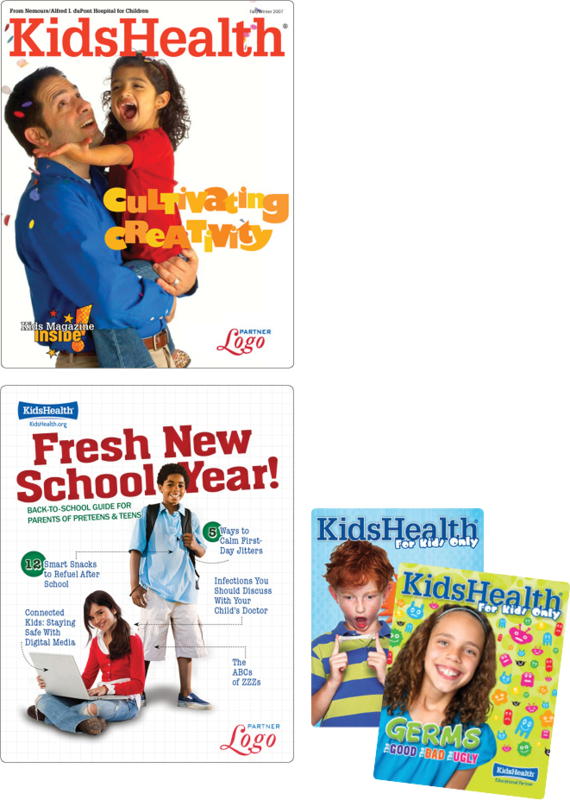 Newsstand-quality publications designed for parents or kids with plenty of options to customize. Perfect for welcoming new families to your market, cultivating referring physicians, and distributing at events.